Now, control of your appliances will be at your finger tips. 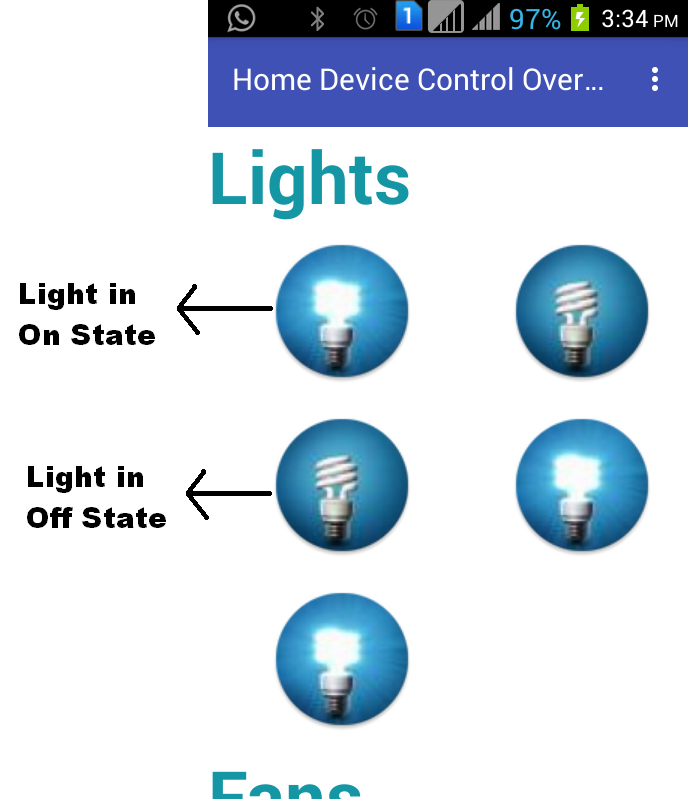 Using this app you can control your appliances (lights, fans, heaters etc) from your android phone remotely over bluetooth connection. If your are a professional or a student of electrical/electronics engineering and can develop arduino based circuits then you can use this free app. You can download this free app from here. 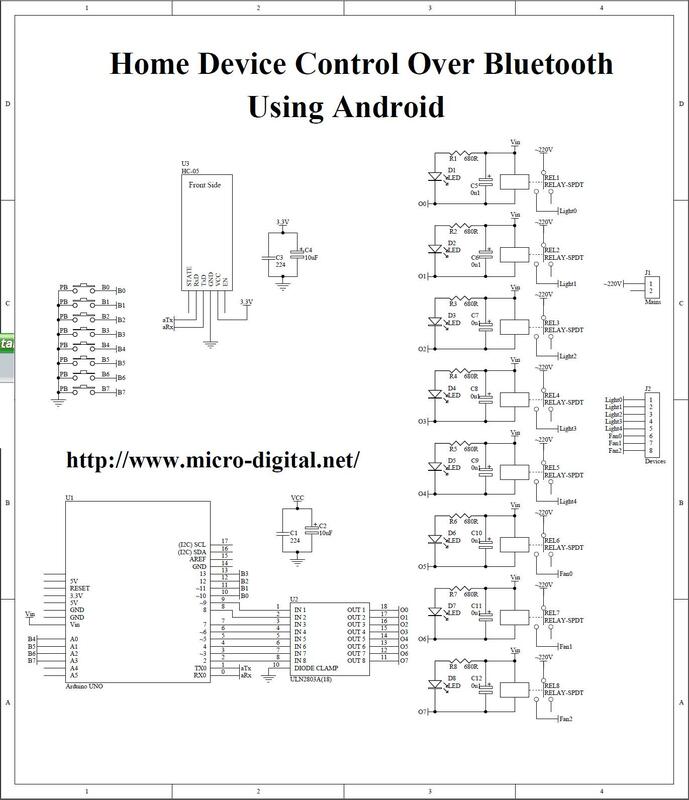 Home Device Control Over Bluetooth-0 from Rashid Mehmood on Vimeo. 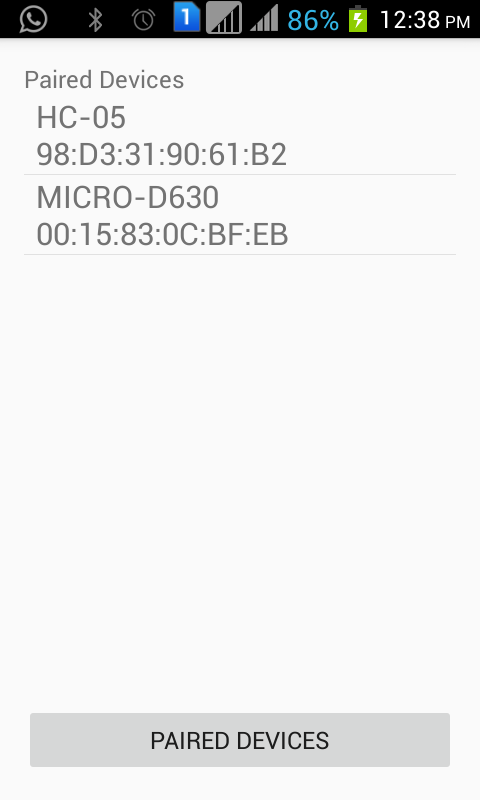 A hardware developed on arduino open source platform is connected over bluetooth with this app. Hardware has the functionality of switching high voltage devices like fans, energy savers, tube lights and heaters etc. You can change hardware according to your device power consumption requirements. Large size relays will be required for heavy loads. As there are high voltages involved so be careful during development and use of hardware. We will not be responsible for any kind of damage/loss in any form by using this app and hardware. Hardware is no more complex and you can develop it easily if you have developed basic electronics circuits and can understand electronic schematic diagrams. Here is the schematic diagram of hardware. Here is the arduino source for above hardware. Here is the main screen of app showing paired devices. Before you connect to remote hardware you have to perform pairing. In this project HC-05 bluetooth module is used. Default pin code for HC-05 bluetooth module is “1234”. This pin will be required during pairing process. Paired devices will be shown in this screen. And then select your hardware from the list. Here “HC-05” is representing our hardware. Now, our app will try to connect to remote arduino hardware and will show connection status and will also show appliances current status (on/off) as in the following figure. Now, we can tap to turn on/off a device. 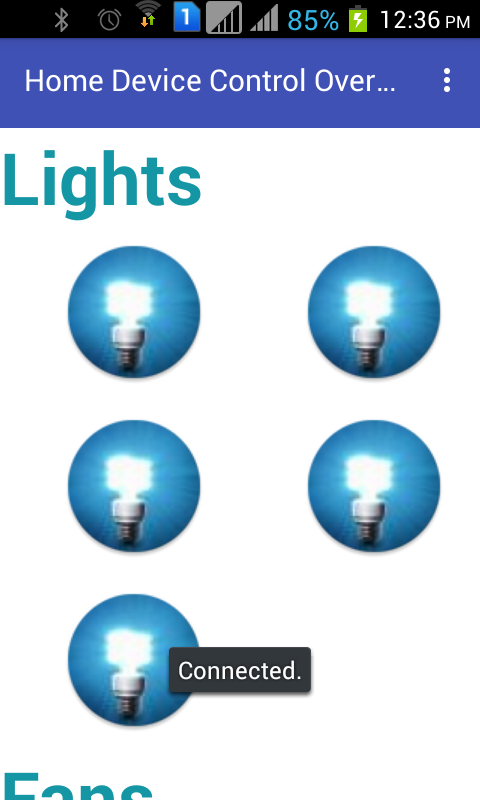 In the following figure we have turned off 2 lights. 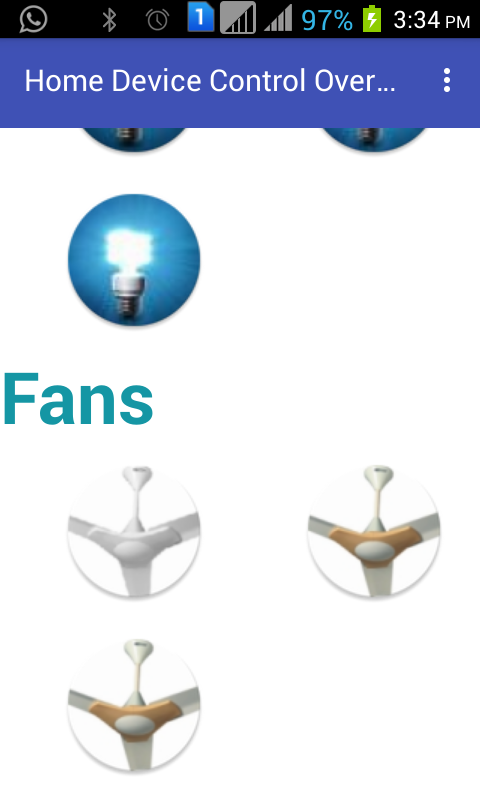 Following figure is showing status of fans that we can also switch on/off. 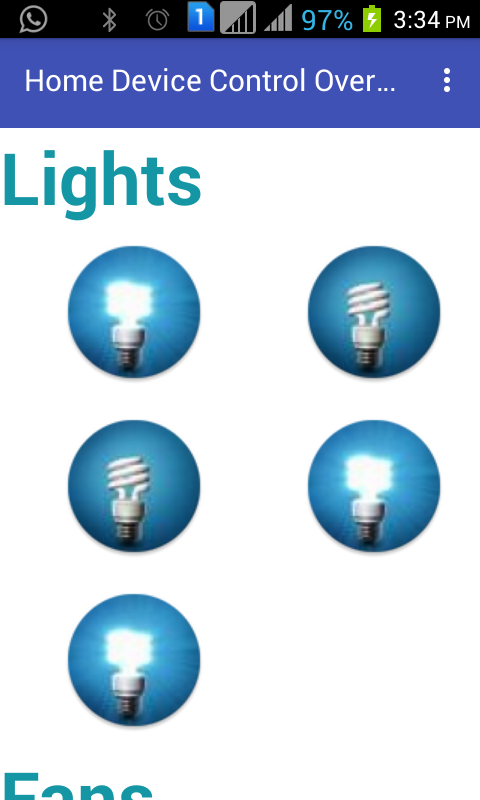 In the following figure, status of on and off lights is shown. 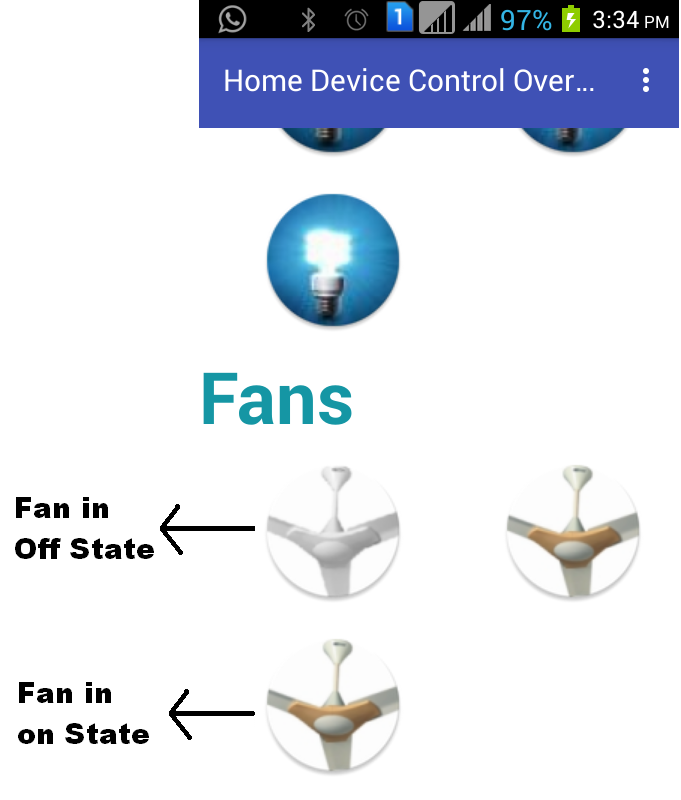 In the following figure, status of on and off fans is shown. Download this app from Google Play. Enjoy! this one more free app. VID-20160224-WA0002 from Rashid Mehmood on Vimeo. VID-20160224-WA0007 from Rashid Mehmood on Vimeo. We have designed this app at our best. We have tested it so many times but use it at your own risk. We will not be responsible for any kind of loss in any form due to this app. If you find any bug or defect then please inform us at udigital.solutions@gmail.com. If you have any suggestions please, email us. We will be happy to hear from you.